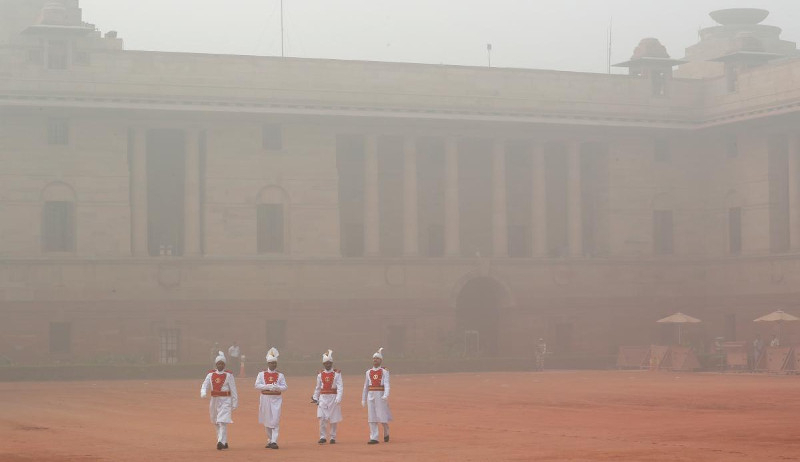 AKIPRESS.COM - Air pollution in India's capital has hit hazardous levels, prompting local officials to ask that schools shut down and a half marathon scheduled later in November be called off, AP reported. On Tuesday, the readings of the government's air quality index hovered between 350 and 450, indicating that the health impact of breathing the air was "severe." The highest reading on the Central Pollution Control Board's index is 500. The pollutants on Tuesday that had the maximum impact on the reading were PM 2.5 and PM 10 particulate matter. As winter approaches, a thick, soupy smog routinely envelops most parts of northern India, caused by dust, the burning of crops, emissions from factories and the burning of coal and piles of garbage as the poor try to keep warm.